Before coming to the farm, you should consider what you want to put on your property. Customers have found it helpful to have a drawing of their property along on the visit to help envision the placement of trees. When you arrive, Frank will show you around the nursery making sure to stop at any trees you find to be of interest. After deciding on your trees, Frank will help you take the trees you choose from our stock and schedule an appointment for planting. Our trees grow in our fields in Smart Pots® instead of the plastic containers often found elsewhere. Smart Pots® allow the trees roots to grow in a more stable, fibrous structure leading to faster growth, less stress on the tree and an easier, more successful transition from the pot to your yard. 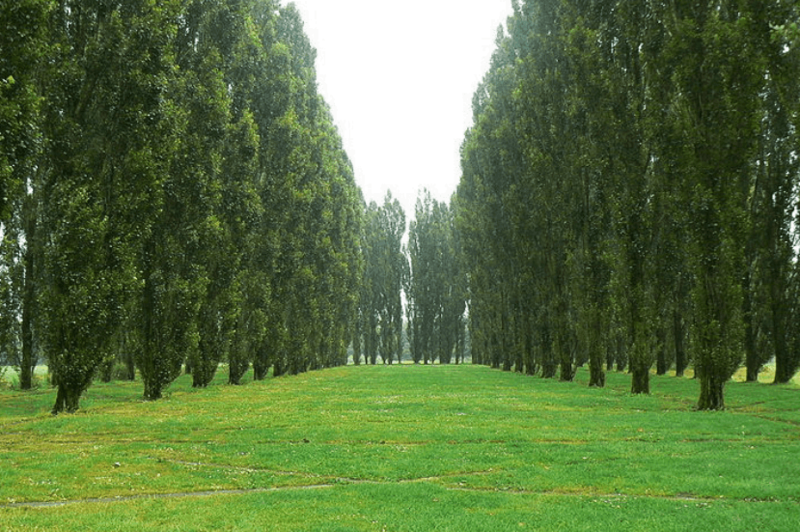 Our trees range in size from 2 feet to 20 feet. We carry a wide selection of specialty evergreens, rare and beautiful dwarf conifers and Japanese Maples. We provide a selection of heirloom and rare species of trees along with more common popular varieties. We are conveniently located in Loudoun County, Virginia. With over 20,000 trees in stock and over 200 varieties, you are sure to find trees that will add beauty and interest to your property. Whether you are looking for a fast growing tree that will thrive in Virginia for privacy, a windbreak, a flowering cherry tree reminiscent of DC’s Tidal Basin, or a tree species that lived during the dinosaur era, you will find it here. We proudly serve Loudoun County, Virginia, Alexandria Virginia, Fairfax Virginia, Arlington Virginia and more!